← October 13, 2010, 9 p.m.
Jennifer Cunningham Kimbrell went home to be with the Lord at 7:01 p.m. on Saturday, October 16, 2010 following a yearlong battle with breast cancer. Jennifer passed away at home, surrounded by loved ones. Originally from Ocala, Florida, Jennifer also lived in Orange County, California, Dallas, Texas and most recently Ada, Oklahoma following her August 7th marriage to John Kimbrell. 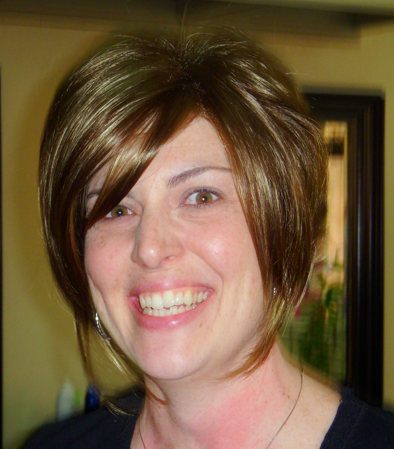 Jennifer’s life work was dedicated to full time ministry, and over the course of the last 15 years she served in various capacities at Church @ The Springs in Ocala, Florida, Purpose Driven Ministries in Lake Forest, California, Northwest Bible Church in Dallas, Texas and Fellowship One Technologies in Irving, Texas. Following her diagnosis in October of 2009, Jennifer openly shared her journey and inspired thousands via her blog: https://jennsstory.wordpress.com/. Celebrations of Life will be hosted in Ada, Oklahoma at the First Baptist Church at 1 p.m. on Tuesday, Oct. 19th and in Ocala, Florida at Church @ The Springs at 11 a.m. on Saturday, Oct. 23rd. In lieu of flowers, her family suggests charitable donations in Jennifer’s honor be made to the children’s ministry at H2OChurch.cc in Ada, Oklahoma. Jennifer is survived by her husband, John Kimbrell of Ada, Oklahoma, two step daughters, Kirsten and Khloe Kimbrell, two sister-in-laws, Janet Humphrey and husband Terry and their children, Kelsey and Kaleb; LouAnn Janda and husband Mike and their daughter Lindsey and husband Heath Boyles and children Karter and Lane and son Todd and wife Brandi and sons Brylen and Ty. Jennifer is also survived by her parents, Joe and Juanita Cunningham of Ocala, Florida, aunt Ruth Cherry and children Melanie Johnson and her husband Dean and children Alex and Aaron; and Melissa Cherry and children Timothy and Taylor and aunt Cari Cholewa and her husband Fred and children Pamela and Joe. I am praying for peace and understanding in this time of so many questions. If I could encourage you to read: Psalm 30:5. To all Jenn’s Family and Friends We will continue to pray for you and love ya’ll more than you know. I am truly sorry. I just started following this on Facebook a few days ago. I hope you find comfort through this trying time. It looks like Jennifer was surrounded by so much love. THE MOMENT THAT YOU LEFT OUR HEARTS SPLIT IN TWO. THE ONE SIDE FILLED WITH MEMORIES,THE OTHER DIED WITH YOU. WE OFTEN LIE AWAKE AT NIGHT, WHEN THE WORLD IS FAST ASLEEP, AND TAKE A WALK DOWN MEMORY LANE, WITH TEARS UPON OUR CHEEKS. REMEMBERING YOU IS EASY, WE DO IT EVERY DAY. WE HOLD YOU TIGHTLY IN OUR HEARTS AND THERE YOU WILL REMAIN, LIFE HAS GONE ON WITHOUT YOU, BUT IT WILL NEVER BE THE SAME. WE LOVE YOU JENNIFER. Even though many hearts are broken tonight, we know that lives have been touched all over this country by this remarkable young woman. As we shed tears, I am ever reminded that heaven has just become a richer place when Jennifer opened her eyes on the other side of eternity. She has now joined that cloud of witnesses and we look forward to the day when we can stand beside her again. No pain, no sorrow, no wigs, just a brand new body and a continuous worship of our Jesus. We love you Jennifer. Our prayers go out to John, Joe, Juanita and the rest of the family, our thoughts are with you. All our love. Many of us will want to know closer “this Jesus, this God of tears”, who can cause good to emerge from our pain [as] we run toward him…(p. 53). It is our Faith that continues to sustain us. Our hearts have been sad, aching with hopeless feelings as we struggle and ask, “Why God? Why now? Why all these things that make life feel so out of control?”. We do not have the answer but do know that one day we will in Heaven when we are with our Lord and Savior. The Faith we share is God’s gift hold on to it tightly and feed on His word. Please know that Kent and I are praying. Although I never met Jen personally, her courage and smiles through all she went through has been so inspiring. I am saddened for the family, the ones who knew her and loved her. It’s always hardest on the one’s left behind, to move on with life without her in it. At the same time, praise God, she is sitting at the feet of our Lord, no more pain, no more tears, no more questions. Peace, total peace that we have not yet experienced. I hope that I am able to meet Jen in heaven. It would be an honor. Prayers are going up for all of you who are suffering her loss. God be with you and bless you each day as you move forward. He has a purpose for everything and everyone under heaven. Love to all. praying for peace and understanding in this time of so many questions.